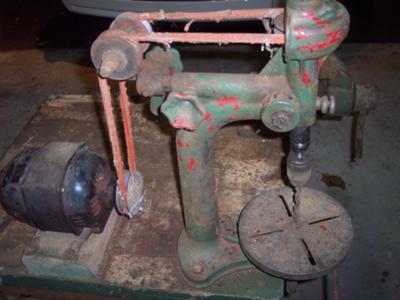 Hi I have a similar drill press in the UK. Mine is made by RECO and marked with M M and A W S, 4012. I suspect it was used by the British Ministry of Munitions during world war 1.